The Crown Motel is located in the main street of Camden, conveniently located close to many local attractions including Camden Showground, Camden Airport, Menangle Park Paceway, Balloon Flights, Belgenny Farm, Smeaton Grange Business Park and Gledswood Homestead. Whether you are staying for business or pleasure, our friendly staff can assist with local knowledge and experiences that will ensure your stay takes advantage of what The Crown Hotel Motel and it's wonderful location has to offer. 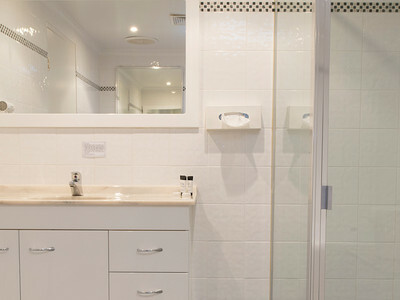 The Crown Motel is the only accommodation right in the centre of town. 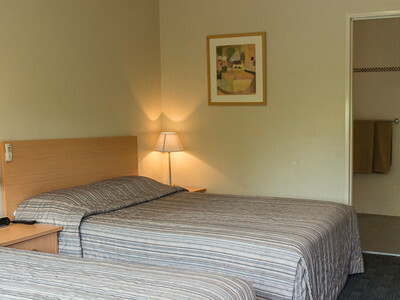 Our Standard Rooms are generous in size, well appointed, tastefully furnished and include large private en-suites, air-conditioning, Mini Bar, Tea and Coffee Facilities, Digital LCD TV, Telephone, Clock Radio, Hairdryer and Ironing facilities. 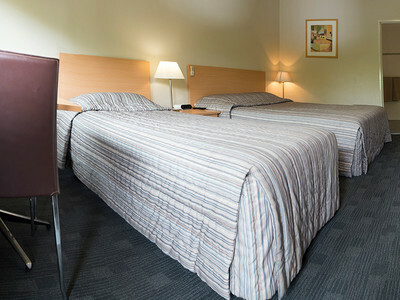 These rooms can accommodate a maximum of 4 people with various bed configurations. Extra Person $20.00 after first 2 adults.